TAMPA, FLORIDA--(Marketwire - May 9, 2012) - DISA Mission Partner Conference -- Research In Motion (RIM) (NASDAQ:RIMM)(TSX:RIM) today announced DoD-wide approval for the use of BlackBerry® 7 smartphones. 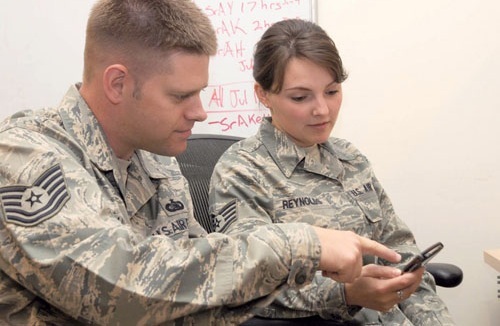 Working with U.S. Army and Defense Information Systems Agency (DISA) sponsors and partners, BlackBerry 7 smartphones have undergone successful testing through Army labs leading to a subsequent listing on DISA's Unified Communications Approved Product List (UCAPL). "The Army introduced a wide range of new apps and capabilities for their BlackBerry users last year, and these new BlackBerry 7 smartphones will now enable Army users, and all DoD users, to experience an even greater level of performance on new smartphones that include features such as voice activated universal search, Near Field Communications, Augmented Reality, and Social Feeds 2.0 just to name a few," said Scott Totzke, SVP, BlackBerry Security Group at RIM. "RIM's unwavering focus on security and RIM's achievement of key security certifications including FIPS 140-2 validation and Common Criteria EAL4+ accreditation continue to be very important to many of our DoD and enterprise customers, but leveraging the full power of BlackBerry smartphones is also important as it helps them realize the full potential of their investment in the BlackBerry platform." For more information about BlackBerry 7 smartphones and features, please visit: www.blackberry.com/bb7.